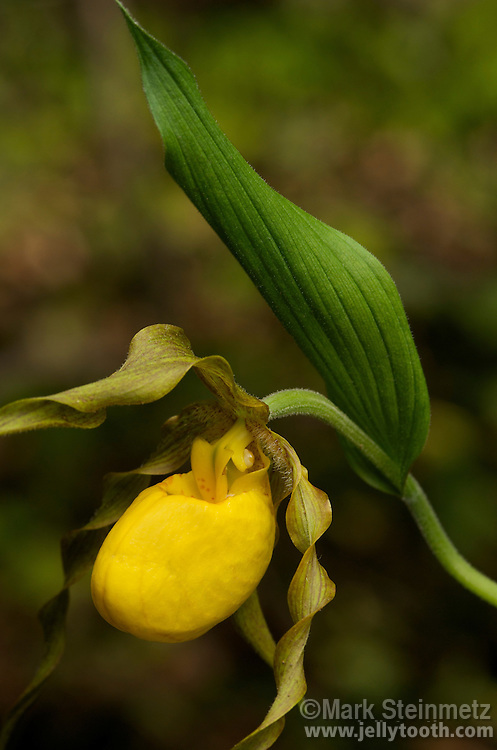 Yellow Lady's Slipper (Cypripedium calceolus) wildflower with inflated lip (the "slipper") composed of two fused sepals. Central Ohio, USA. Synonyms are Greater or Large Yellow Lady's Slipper (Cypripedium parviflorum var. pubescens and Cypripedium pubescens).